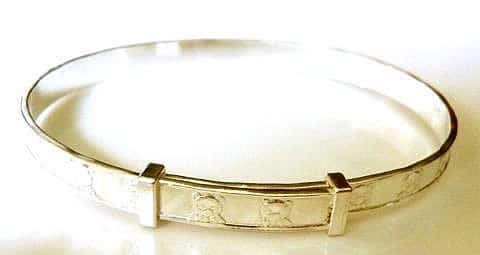 4mm wide, expanding silver bangle with a teddy bear design and raised edges. It expands to 55mm and is suitable for babies and very young children. Classic christening gift.